When it comes to the food industry, there is always more than meets the eye. Most people do not pay attention to how their food is made, or where it comes from. Not everything you eat is what is advertised on the labels. Most food items are so full of additives, flavoring and artificial colouring that they can barely be considered as food. Here are 7 things you frequently eat that are a lie. It may be better off for you to just leave them on the shelf. Oats are usually considered healthy and are frequently consumed by people who are trying to lose weight. Research has shown that oats can help improve circulation and lower blood sugar and cholesterol levels in blood. Quaker is the leading producer for oats and is the most popular brand out there. However, not all oats are equally healthy. 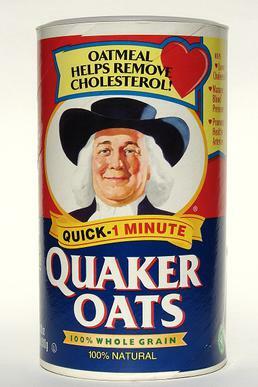 Quaker uses a number of chemicals when harvesting oats. For instance they use a herbicide which contains a compound called glyphosate that is considered as a carcinogen. Your morning oats may not be so healthy after all.